from whom she swindled forty million dollars. What fun, what a cast! "The modern-day paladins of the Camel Club are back in their third exciting adventure...Gripping, chilling, and full of surprises, Baldacci's latest reveals the anarchy that lurks under the slick facade of corrupted governments." "It's a sign of Baldacci's skills as a storyteller that he brings so many revenge-themed plots together into a single, riveting thriller. In STONE COLD, he ups the ante. Virtually every character, no matter which side of the power divide he occupies, plays both pursuer and pursued at some point in the novel." 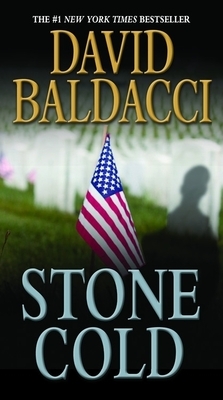 "Baldacci's intricately woven plotlines, well-developed characters, fast-paced action, and surprise ending will leave readers satisfied and wanting more. A sequel worthy of its predecessors; highly recommended for all fiction collections."